OMFG. I have never felt so grounded, nor have I ever felt love so strong. Before I came to Hoffman I resented my father and could not even stand to be in the same room as my mother, I also neglected my daughter for most of my life – Until now!!! I have learnt forgiveness, compassion and above all love. I thought that I knew what it as until I was introduced to this amazing program. I not only have respect for others now but I am walking away from this program with self respect, dignity and a complete new outlook on life. As well as what it feels like, a heart 5 times bigger than Pharlap. The tools I have been given will be used for the rest of my life. I understand that there are so many people out there that can be bitter, twisted, vindictive and inconsiderate just as I was and if I could meet these people and they met me before and after the Hoffman Process I am positive that they would be lining up kilometers out the door to finally be able to actually start there lives completely and be able to actually say before their last breath, “I am at peace with my self”. If I had my way I would make it compulsory for every person to go through this process, (that’s why I am not the Prime Minister). Instead all I can do is tell you. 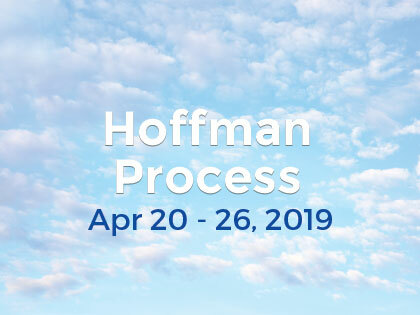 If you can open your mind and look deep inside and seriously want to change your life forever The Hoffman Process is one incredible way to realise your true potential. It’s never too late to find who you really are deep down inside. Now coming from a tradesperson, who didn’t care and started to spiral down into a life of self distraction in his life. I humbly would love to say my future is endless and I am one who has the decision to choose my own path and will always look back to this day when I’m feeling down and remember what transformation in 1 week had done to me. Thank you ever so much to The Hoffman Process, my gratitude to you is to be able to say I can now live a fulfilled life with no more regrets and more love than I could ever imagine, to give to anyone who has an open mind and soul!